Monarch is Southwest of Denver near the town of Salida Colorado. 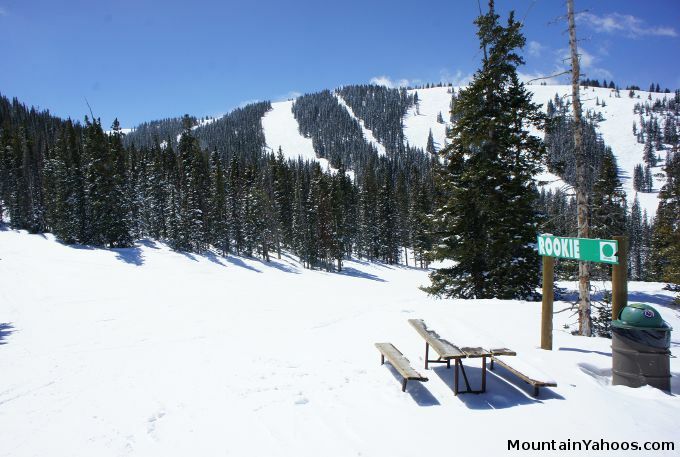 As the crow flies it is directly South of Vail, in a mountain ecosystem which delivers an above average snowfall for the Colorado resorts. Monarch does not have the village of high end shops and spas and your lift ticket will not be paying for it either. The art shops and high end restaurants are still available nearby in one of the most underrated ski towns, Salida Colorado. 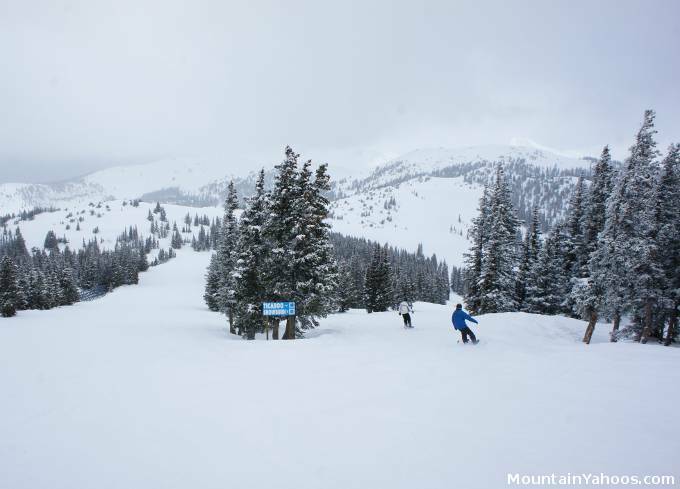 The Monarch mountain layout has some of the easiest beginner runs available from the base lift of Tumbelina, like "Little Joe", "Snow Flake" and "Rookie" to advanced tree runs and the hike-able Mirkwood bowl which all seem to have fresh powder long after a snowfall. 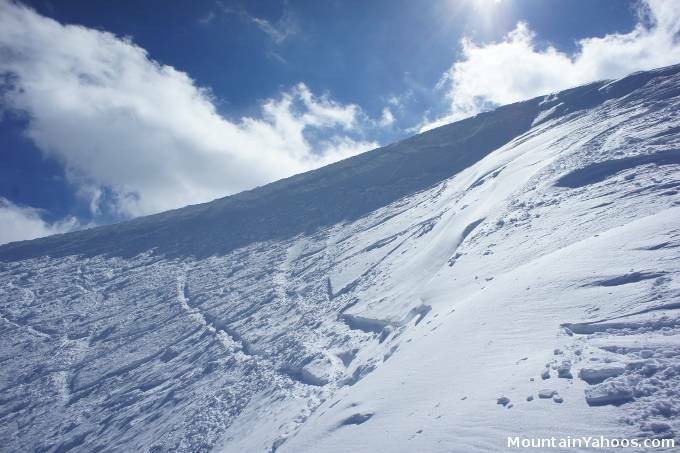 The mountain has plenty of beginner terrain available from the Tumbelina and Garfield lifts. Monarch trails are well marked and it is unlikely one would ever get lost or misdirected. 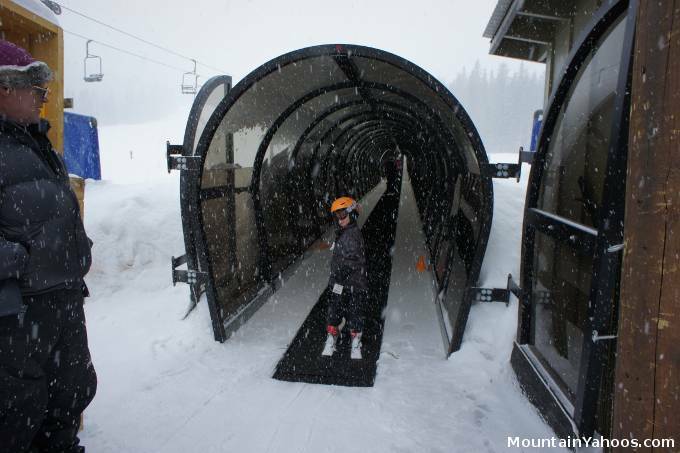 Caterpillar conveyor belt beginner lift (enclosed in a tube) for those skiing or boarding for the first time. 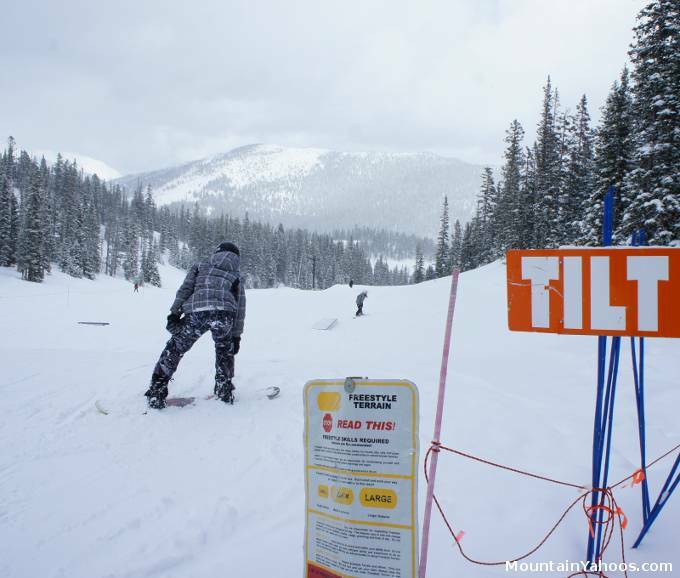 The blue run "Great Divide" truly runs along the continental divide and splits into the two blue runs "Ticaboo" and "Snowburn". 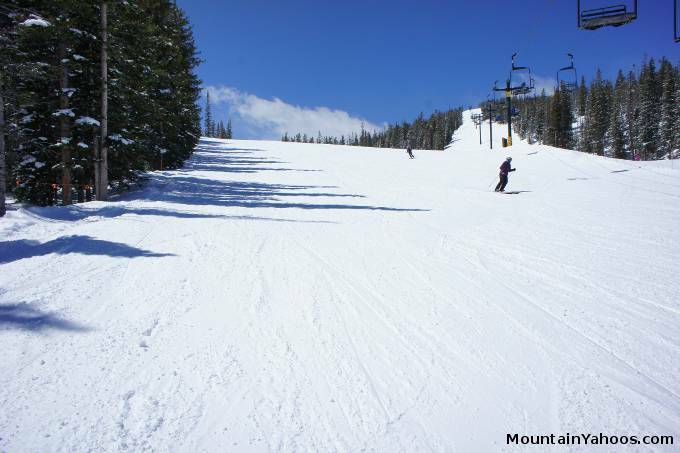 The advanced runs on the mountain are accessible from "Garfield", "Panorama" and "Breezway" chair lifts. 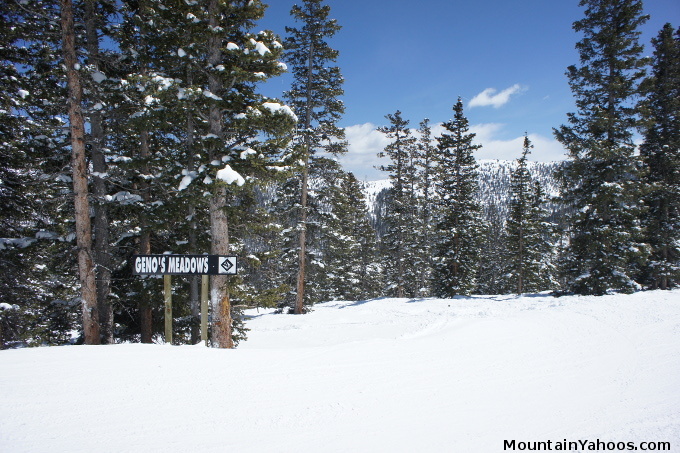 Many of the open single black diamond runs are easy and more like advanced blues except for the tree runs - theses are all rated appropriately. 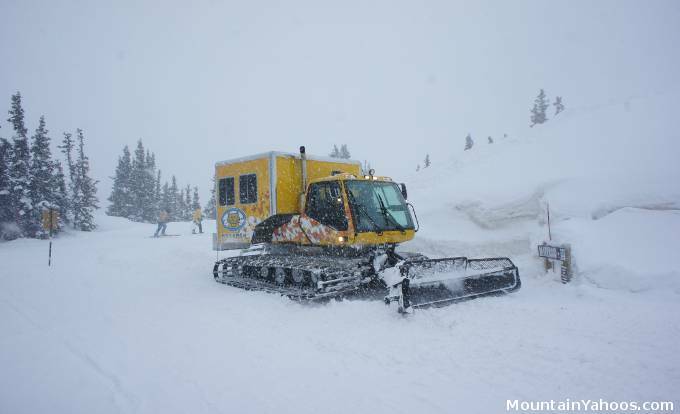 For an extra fee, the Monarch snowcat can take you to "off-piste" back country terrain unreachable by a lift or a reasonable hike. 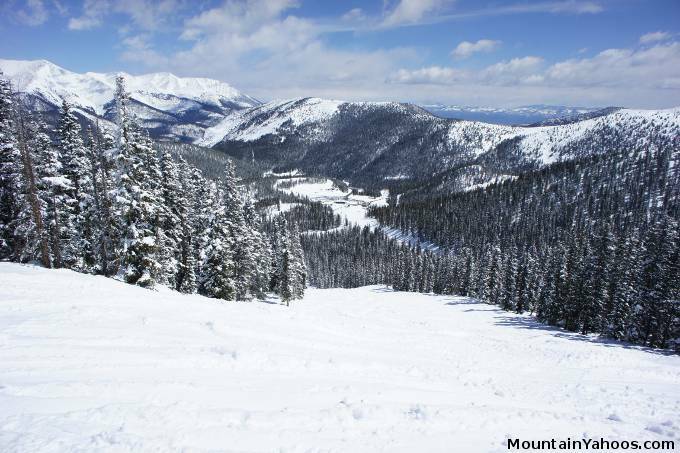 Monarch has an abundance of advanced tree runs and is in fact a noted highlight for advanced skiers. 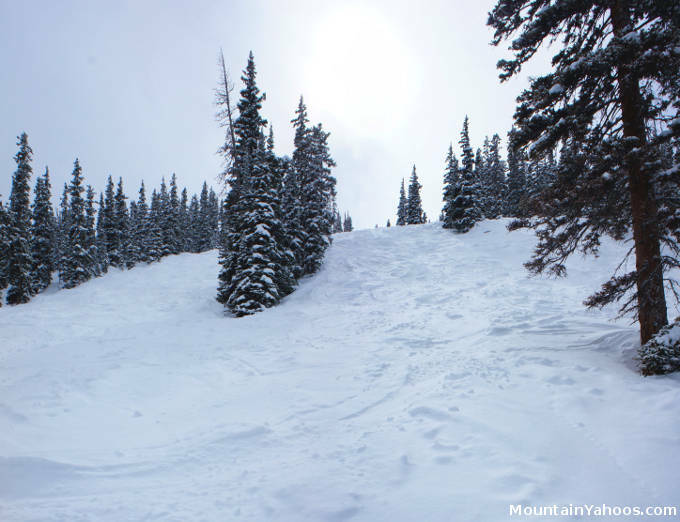 The trees preserve powder long after a dump and freshies are always available to those willing to take a new line. Geno's Meadow: The start is a gentle invitation for the terrain below. Other awesome tree runs include "Shag Nasty", "B's Bash" off of "Breezeway" lift and "Sheer-Rocko" off of the top of the Panorama lift. These are all narrow black diamond tree runs. "Geno's Meadow" is significantly more spacious and a good warm-up for the other more difficult runs. 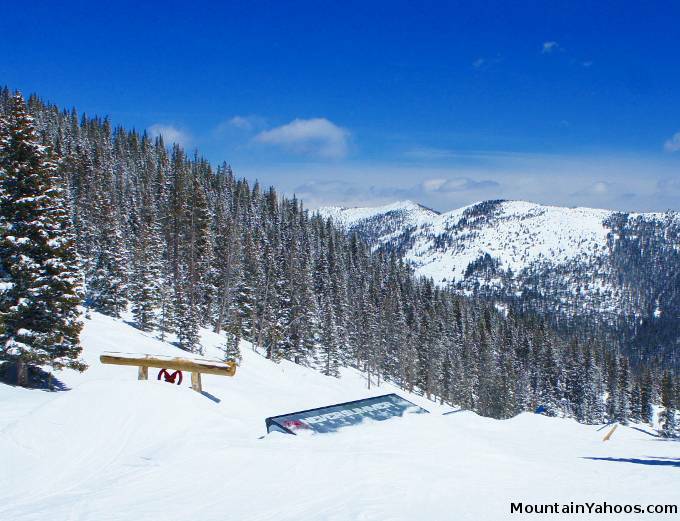 Monarch has two terrain parks, Tilt and Never Summer. Tilt has simpler features created to ensure success. They are low to the ground with a much shorter distance to fall. 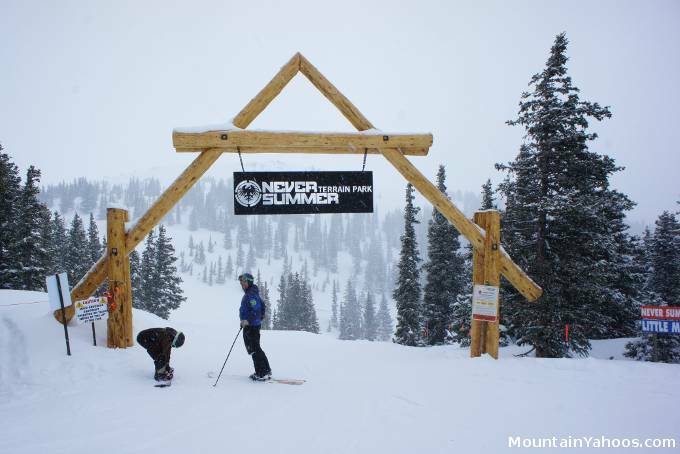 Never Summer is a much larger terrain park with much more challenging features. 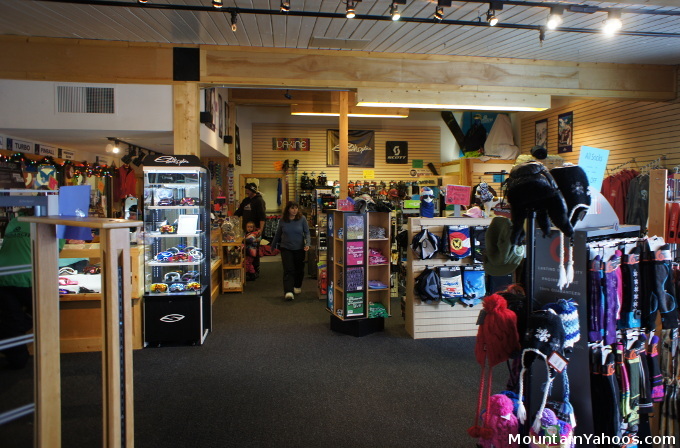 One will find that the Monarch mountain base has the basic necessities for the day: food, ski gear and accessories. The neaby town of Salida is a vibrant town with accommodations, shops, art galleries, restaurants and bars. Read on to our dining and nightlife guide to learn more about Salida. Store in Lodge at base: apparel, accessories and souvenirs.